Who's ready for some bulleted lists?!? Alright, folks. I hope you're ready for some HOT patch action. Evolve's getting further balance changes to both monsters and hunters, so you and your three hunting pals had better prepare accordingly. By that, of course, I mean grabbing an appropriately sized mug of piping hot tea and scrolling lazily through the patch notes, which Turtle Rock was kind enough to organize in a nice, inoffensive manner. If you're feeling a little crazy, maybe throw on that Danzig cover from the teaser trailer while you browse. Let's go through a few of them together, shall we? We'll start with the Kraken's Vortex ability. Alright, sure. Kraken's been bragging to all his buddies about how quickly he can just toss out Vortexes and, to be honest, it's gotten kinda annoying. Good on the devs for taking him down a peg. 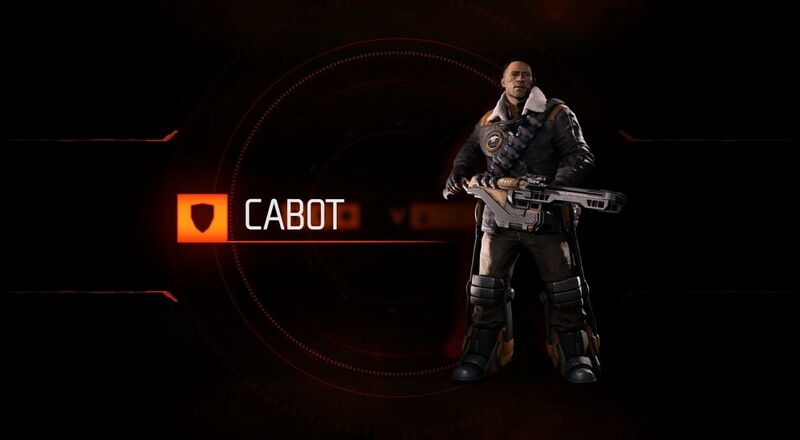 Just so long as they don't mess with Cabot's Rail Cannon. On to Griffin's Sound Spike. —Now detect stealthing monsters within a 15 meter radius. —Radius increased from 50 to 60 meters. Between you and me, I heard Griffin's second wife left him on account of his inability to detect stealthed monsters, so hopefully this will tone down his whining while we're out hunting.. Seriously, every other mission, he's all, "She didn't even recognize my other qualities, like my sweet moustache/mutton chops." Anyway, at least we can focus on the one true universal truth: Cabot's Rail Cannon is perfect and unalterable in every way. Let's see. What's new with Bucket's Guided Missile Launcher?